Delightful Little Mess: It's that time of year again! 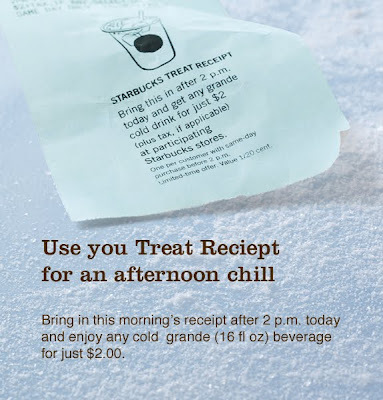 Starbucks is doing their treat receipts... Basically if you make a purchase before 2pm (buy anything... sweets, coffee... anything), at the bottom of your receipt is this. 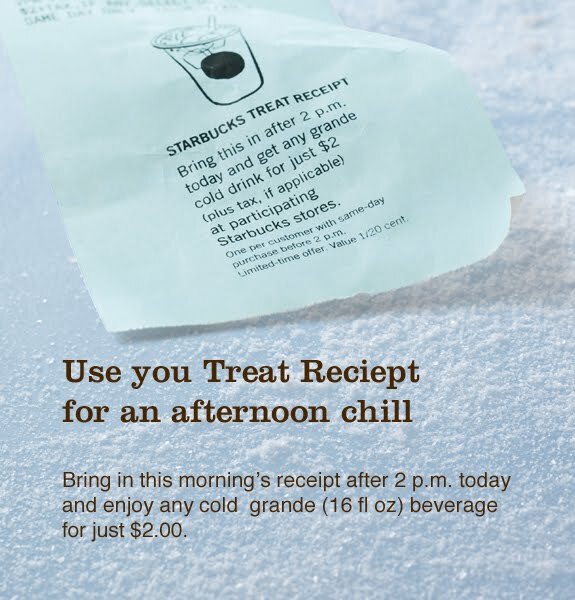 Go back after 2pm with your receipt and then you can get any cold grande drink for $2... That's around half off depending on what you buy! How cool is that? I'm going to be over-caffeinated again this summer! Woot!